1881 was a brilliant year for electricity in Seattle. On the night of July 31, the steamship Willamette burned four lamps for three hours “for the edification of the public.” Pioneer chronicler Thomas Prosch was among the crowd that “turned out en masse to see and admire” the first electric lights shown here. The first telephone franchise in Seattle was also awarded in 1881. And for all “ye ships at sea” that year, the mysterious powers of the French-made Fresnel lens were released from the then new Magnolia West Point Lighthouse. 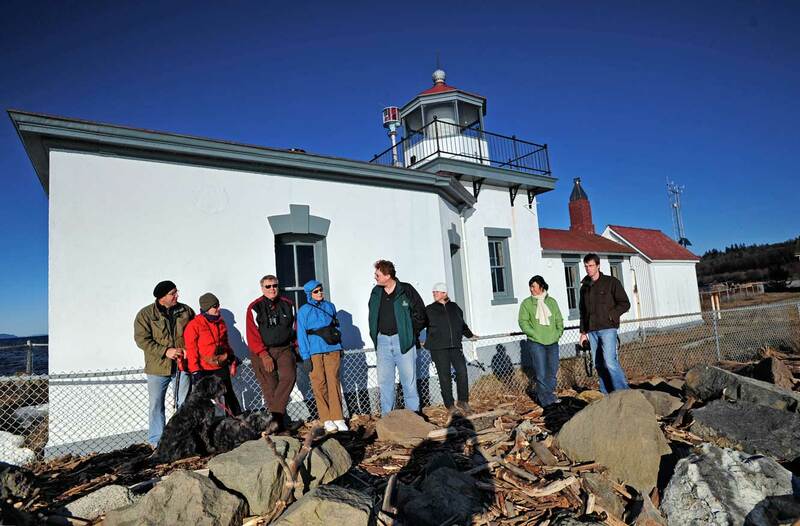 At its centennial in 1981, lighthouse historian Jim Gibbs figured that the light’s 12 bull’s-eye optics had by then scanned the night with its characteristic two pulses of light — one red, one white — with 5-second pauses between them for about 395,000 hours. 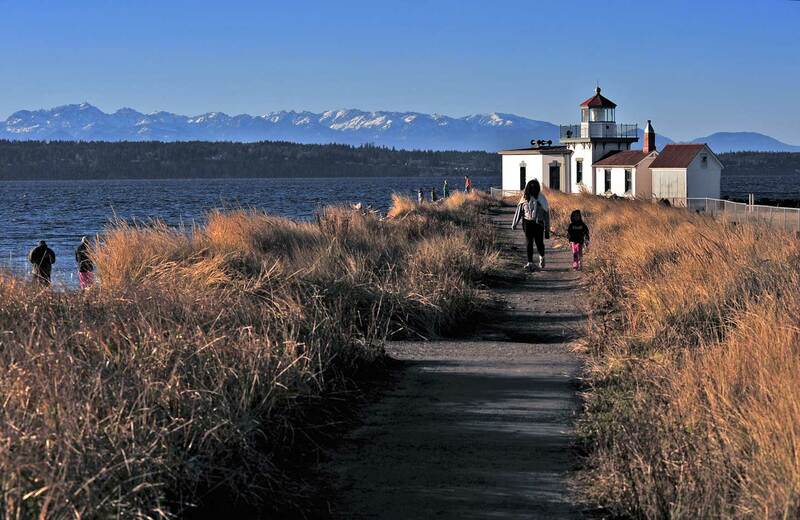 Here a quarter-century old, West Point Light sets the stage for the founding members of the Seattle Mountaineers. They pose on their first outing, which was timed for the tides. This 1907 group portrait appears on page 324 of the new book “Magnolia: Making More Memories,” which also features the lighthouse on the cover. 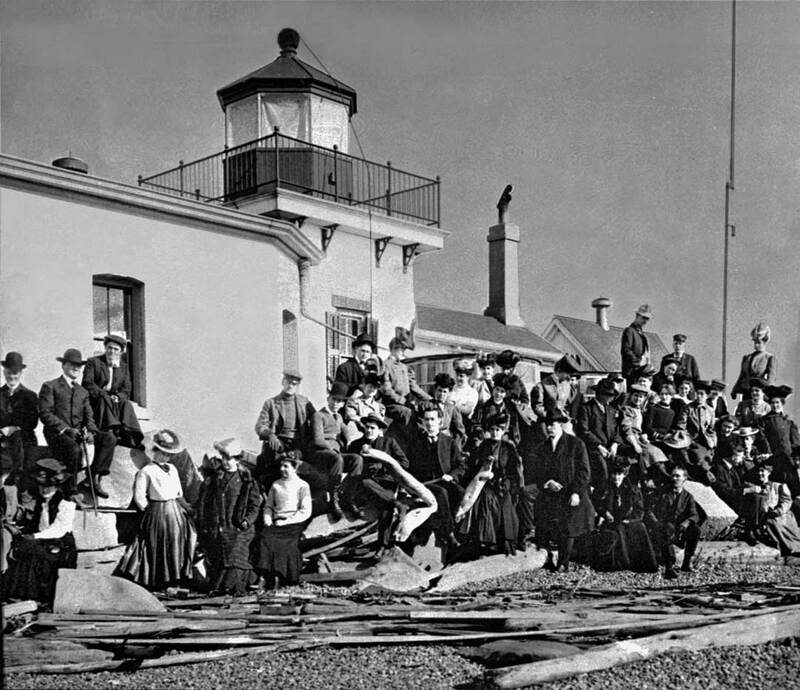 THEN: This 1907 group portrait of the Seattle Mountaineers at the West Point Lighthouse was photographed by Asahel Curtis, one of the members. NOW: Thanks to photographer Jean Sherrard and "stage manager" Jon Wooton for arranging this "now." The tall Wooton stands near the center and turns to inspect the group of tourists he has just persuaded to help repeat the Mountaineers' pose.